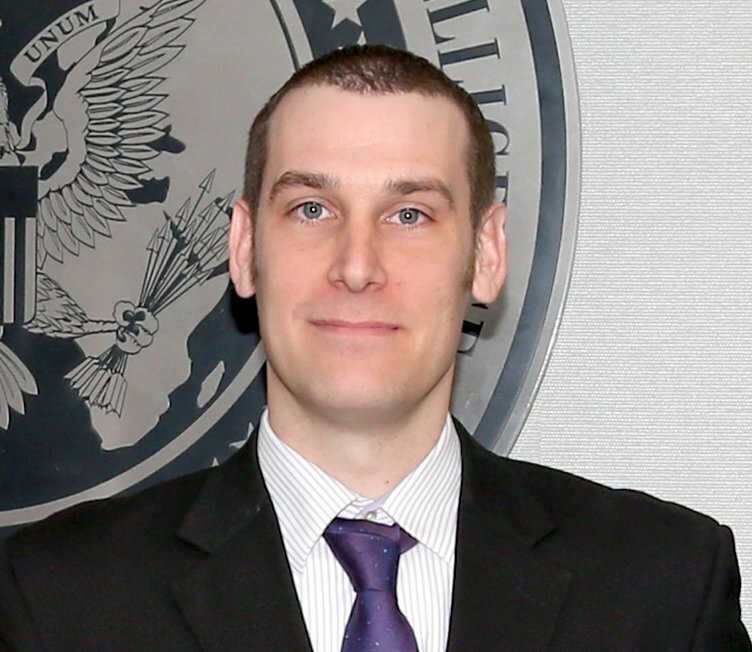 Justin Jacobs, a statistics doctoral student at the department who is concurrently employed by the National Security Agency, has been awarded with the prestigious Presidential Early Career Award in Science and Engineering (PECASE). 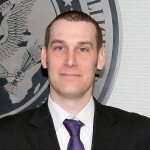 He received the award in person on January 23, 2014 in a meeting with James Clapper, Director of National Intelligence, and will be honored later by President Obama in a White House ceremony. Justin is scheduled to defend his doctoral thesis on April 11, 2014, which was mentored by Dr. Anidya Roy and Dr. John Zweck. My focus of research at the Agency is mainly on point estimation and hypothesis testing in the Tagging, Tracking and Locating arena. Much of the work is geared toward solving deficiencies within the GNSS (Geospatial Navigation Satellite System) architecture by either developing advanced filtering techniques, using alternative methods of positioning and developing improvements in timing requirements. This includes using ensemble models on HYSPLIT weather models for drift analysis, developing Doppler methods (on GPS, FM Radio, XM Satellite Radio, LORAN, CHAYKA and other various radio signals) to estimate positions, and developing advanced geolocation algorithms involving Bayesian modeling (think Kalman Filtering and Particle Filtering) and differential geometric analysis on WGS-84 reference manifolds with DTED level # adjustments. (# ranges between 1 through 5). I’ve also developed secondary factor models that analyze physical drag of groundwave propagating waveforms by taking into account the curvature of the Earth as well as the permittivity, permeability and conductivity of the various materials on the Earth. I can’t necessarily explain the operational impact due to the sensitivity of the projects, but at least three news stories have broken onto the news due to my work and has been honored by the White House Office of Science and Technology Policy (OSTP) which selects the PECASE award winners. Here the official White House announcement of the award. And here is a UMBC Insights article on this.